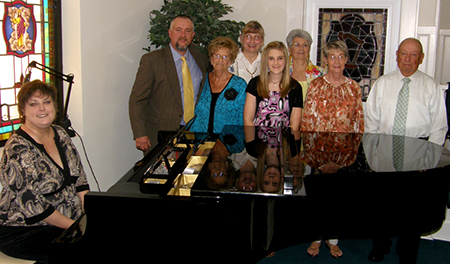 Music is an integral part of the worship service at Robinson Memorial as it is with most Presbyterian churches. Our choir, also known as the Robinson Singers, rehease at 6 p.m. Thursdays in the sanctuary. All are invited to join our group to bring glory to God.